If there’s one thing that traveling can teach you, it’s that last-minute plans are often the best ones. Although we had talked about our plans for yesterday, we didn’t think it was going to work out to book them, so we didn’t until Wednesday afternoon. I’m so glad we did though because yesterday was such a great day! 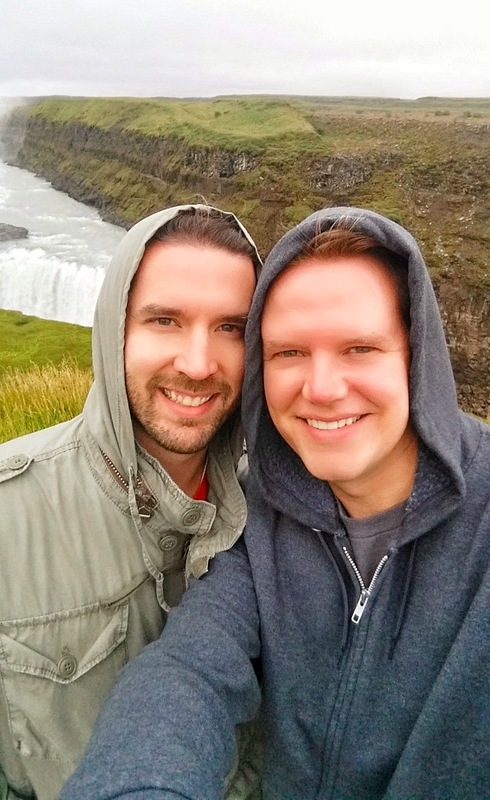 We took advantage of another great day trip from Viator and spent the whole day exploring Iceland’s Golden Circle. There’s no way to do this tour without a car, so you can either rent one or book a tour like we did. I’m an advocate of day trips like this because they conveniently package together some great stuff, usually with great tour guides. And as a bonus, you don’t have to worry about getting lost because the driving is up to someone else. Perfect! Nesjavellier – we were literally only here for a few minutes! The weather during the first few hours of the trip was pretty gross – chilly and rainy. We didn’t actually go to the geothermal plant (which is what’s linked above), but the geothermal field is near it. Basically all we did here was snap a couple of pictures – our tour guide didn’t even have much to say about it! 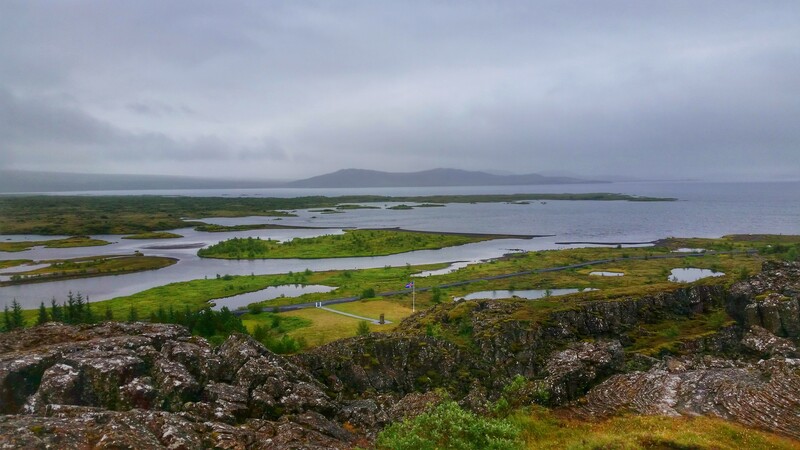 Þingvellir – it was still chilly, but the rain was tapering off by the time we reached this national park and UNESCO World Heritage Site, so it was more enjoyable. We were here for maybe 30 minutes, which was a good amount of time to explore and snap some photos. This park is notable both because it’s where the tectonic plates of North America and Europe meet (our tour guide actually pointed out the official crossing from one plate to another while we were on the bus) and also because it’s home of the world’s oldest parliament. In great weather when the photo opps are better, I could see spending more time here, but I didn’t feel at all rushed during our stop here. 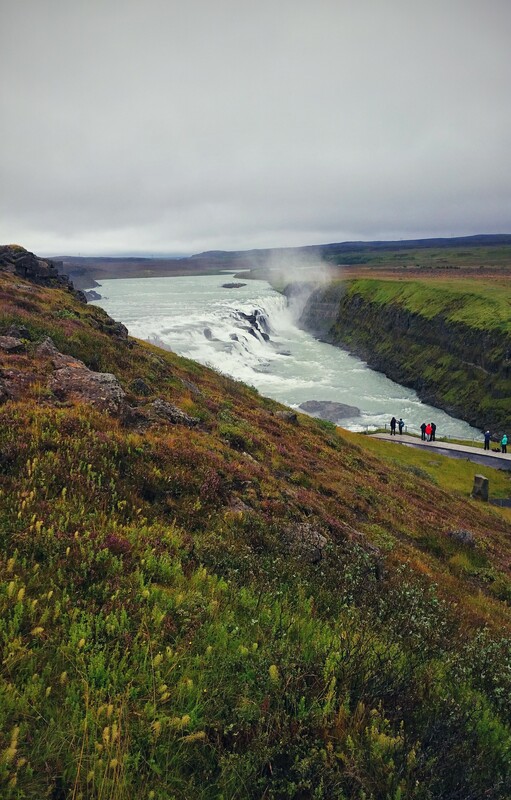 Gullfoss – okay, this place is gorgeous! Is it another Iguazu Falls? Not at all! But it’s still amazing to see! The thing I love about waterfalls is the rush of water you can hear getting louder and louder as you approach them and then the big reveal when you actually see them. 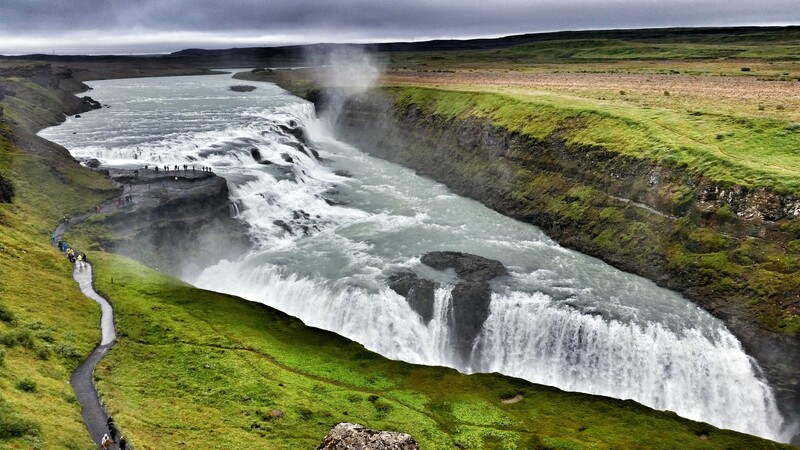 The cool thing about Gullfoss is that you have to walk close enough to see the second, lower set of falls – otherwise it looks like the higher set just flows off the earth! We had an hour here, which included time to eat, and I could have easily spent more time here. The rain had stopped, but the sun hadn’t quite started to break through yet, so our pictures probably aren’t as amazing as they could have been. You also have the opportunity to walk to a few different vantage points (some of which look like they’ll soak you, so be warned!) and I would love to have been able to explore them more. Either way, this was the highlight of the day and I suspect it will be a highlight of this whole trip. Don’t miss them! 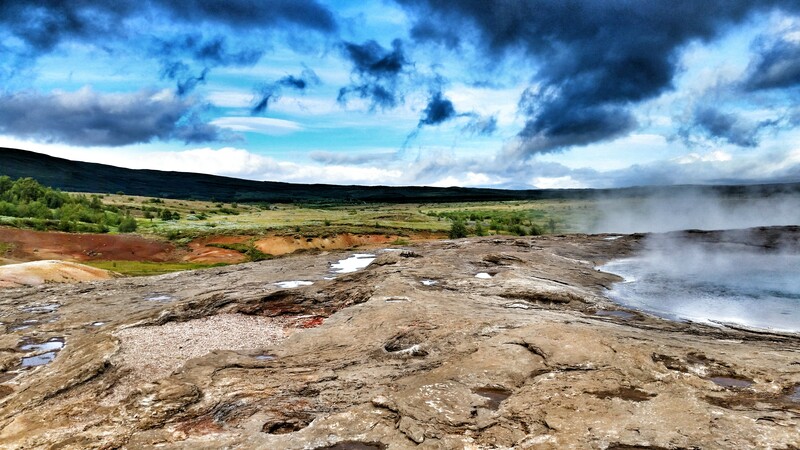 Geysir – if Gullfoss was the highlight of the day, Geysir was a very close second. By the time we got here, the sun had broken through the clouds, giving a whole different life to the views. 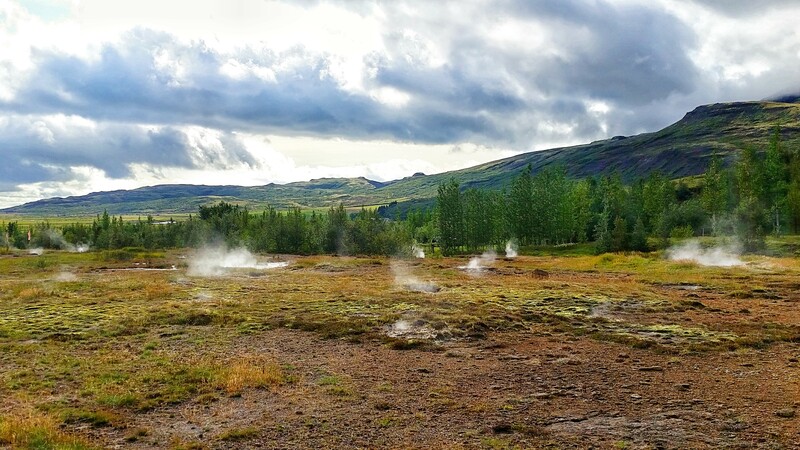 Geysir is another geothermal field that’s smaller than Nesjavellier, but you get to walk around it and see the various bubbling springs and geysers, most notably Strokkur. 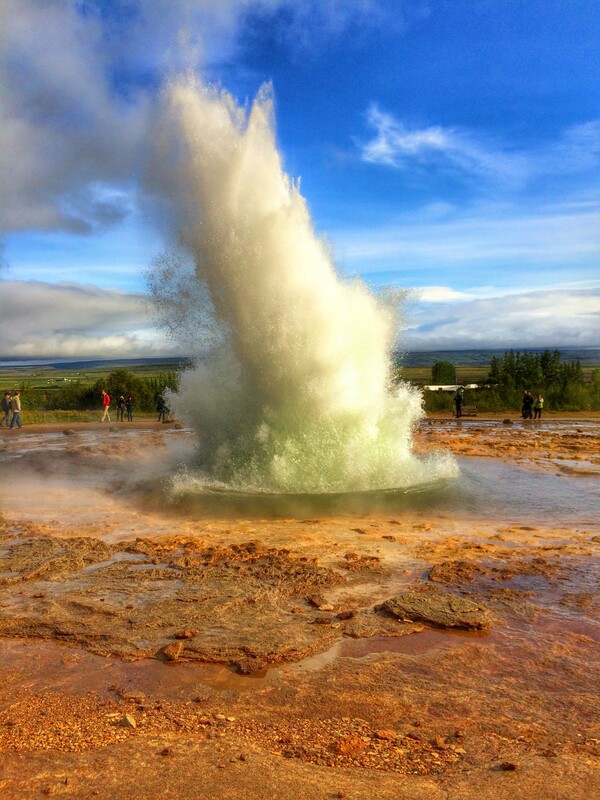 This geyser erupts every few minutes (with NO warning, so you have to have your camera ready! ), so to be standing a mere 20-30 feet away is pretty cool. We had about 30-40 minutes here, which felt like enough time to watch Strokkur erupt a few times (to get just the right photo!) and walk around the rest of the area. I loved it and I know you will, too! 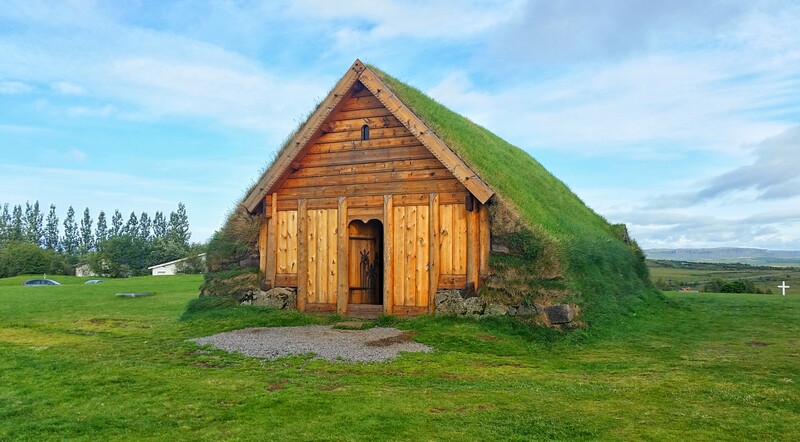 Skálholt – the actual church building here is cool, though it’s not that old as it was built in the mid-20th century. 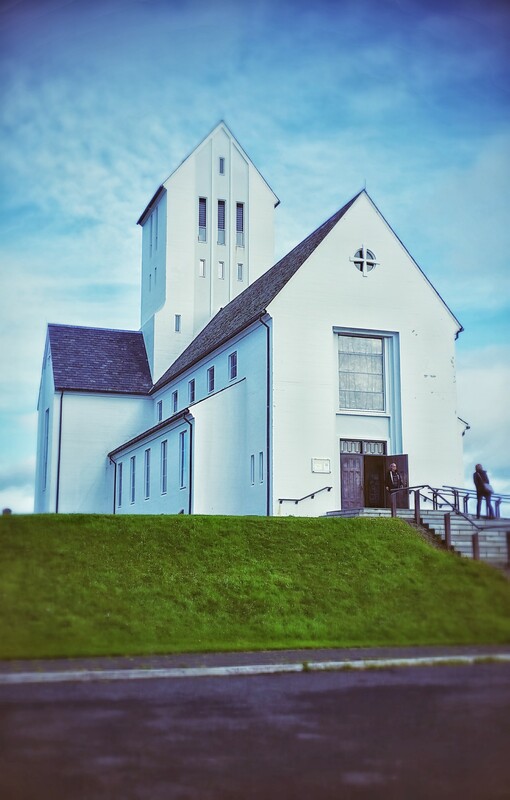 Historically, the site was home to Iceland’s bishop, but multiple churches have been built and rebuilt here over the centuries and it now serves as an education and information center for the Church of Iceland. This was another quick stop – maybe 15-20 minutes. That was plenty of time to get some pictures of both the church and the beautiful landscape around it. Be sure to explore the churchyard in the back and take in all the gorgeous surroundings! 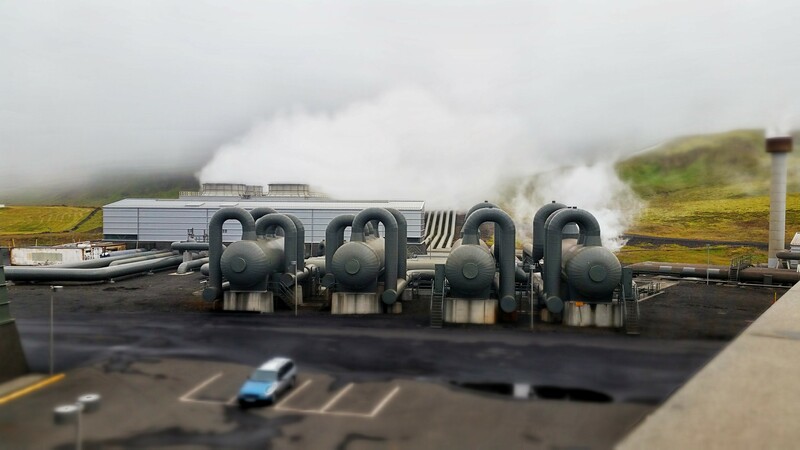 Hellisheiði – our final stop of the day was a tour of an actual geothermal power plant. The tour wasn’t included in the price of our overall day trip, but it only cost us an additional ~$6 USD each, so we figured we may as well do it (the alternative would have been to just hang out in the power plant’s little café, which several people did). 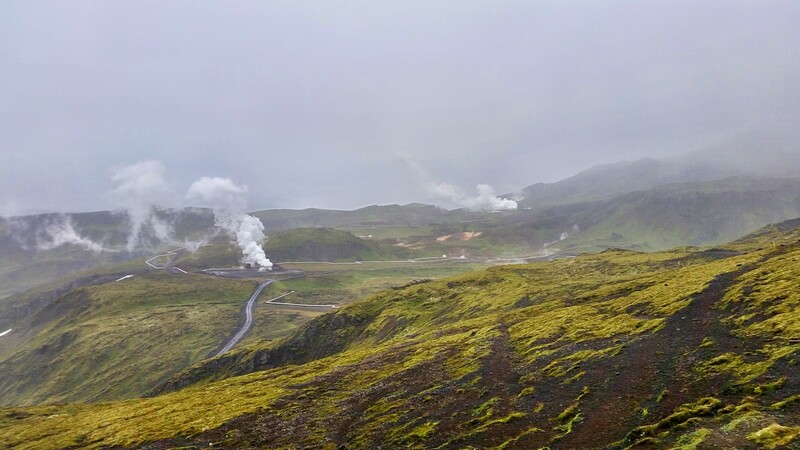 There isn’t much to the tour – someone explained how geothermal power works, then took us onto a balcony overlooking one of the plant’s turbine rooms (very loud and VERY strong sulfur smell), and then showed us a brief video on geothermal power. After that, we were free to just walk around their exhibits which, unsurprisingly, also taught us about geothermal power. It was cool to learn about how Iceland harnesses all the raw energy under the surface of the island, but I probably would have been just as happy in the café. 🙂 Still, it was an interesting way to spend the 30-40 minutes we were there! 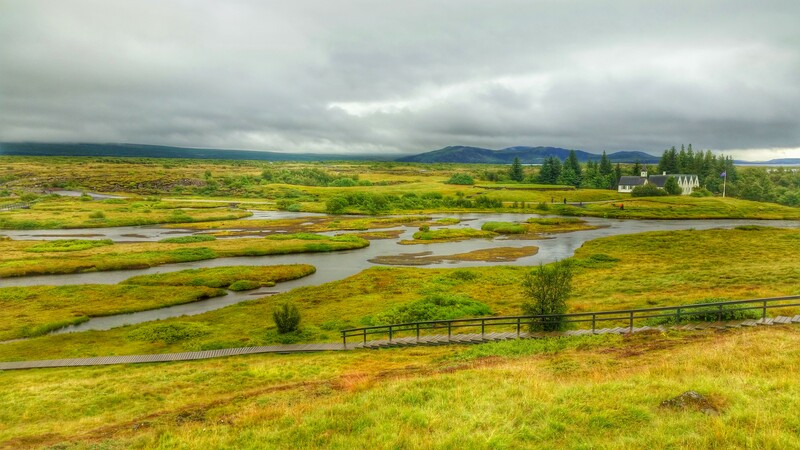 Looking out over Þingvellir. Wish we’d had some sun here! 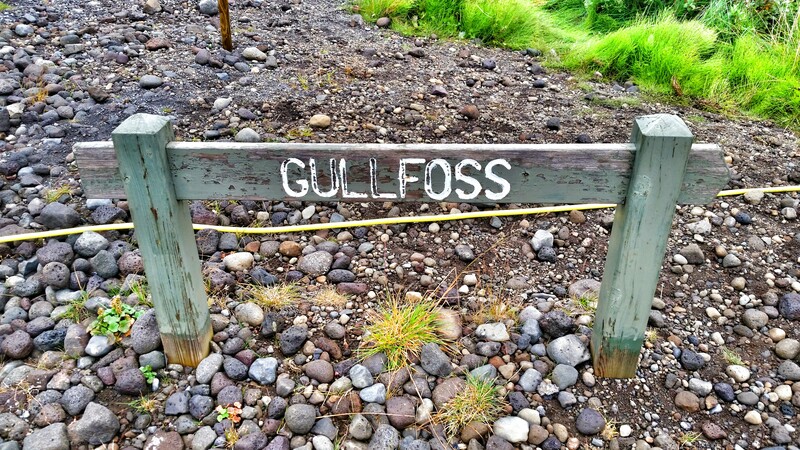 You could hear the roar of Gullfoss from this sign. See what I mean about the lower fall? You don’t really see it here! Now that’s a cool set of waterfalls! And what do you do in front of something cool? Take a selfie, of course! 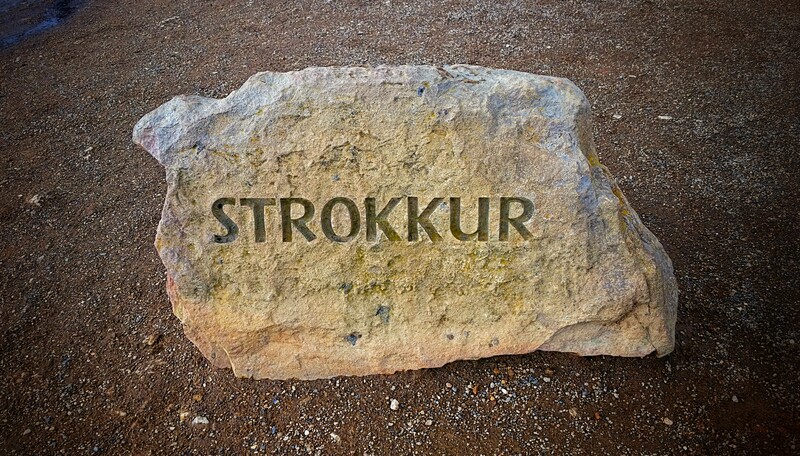 There were a few of these stone signs at Geysir and of course I had to snap a picture of the one for Strokkur. 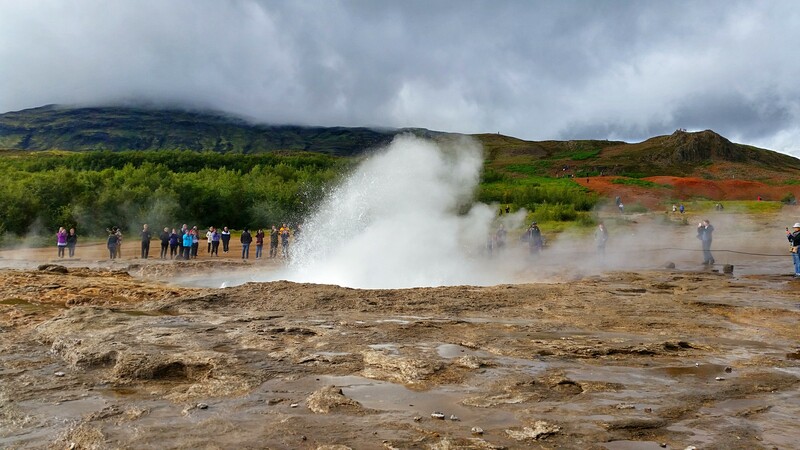 I was taken off guard the first time we saw Strokkur erupt, so I didn’t get a great picture. We walked around to the other side of the geyser and I stood there, phone at the ready, for several minutes to get this shot. Totally worth it! How cool is this?! 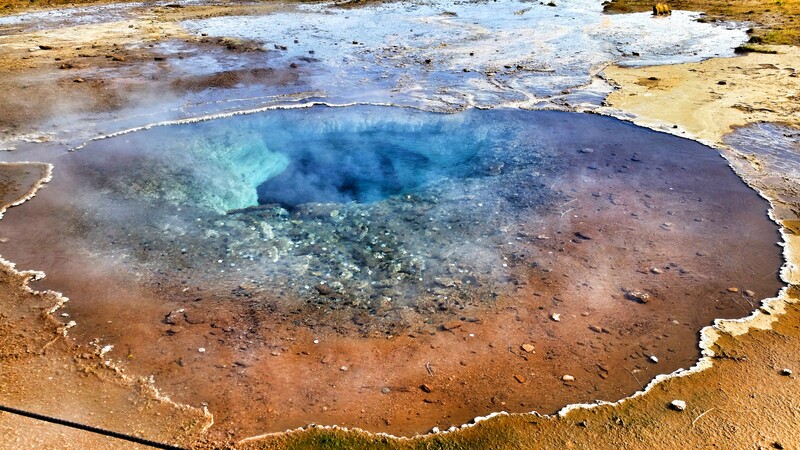 I love the fact that you can see this hole that feeds the hot pool stretching away under the earth. 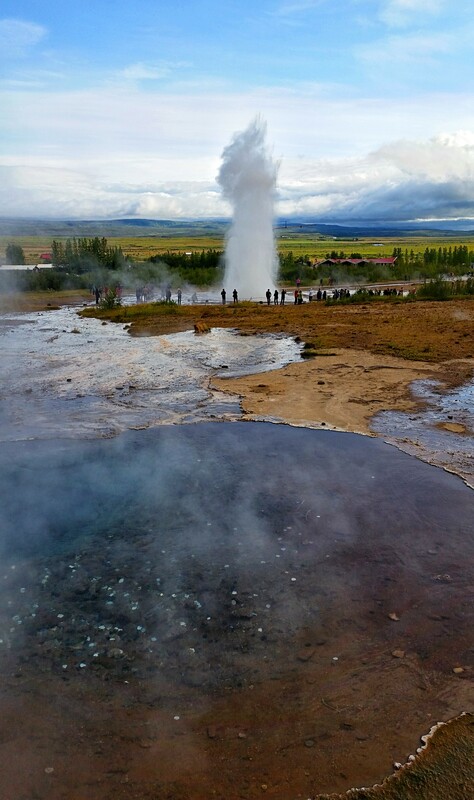 I got another shot of Strokkur doing its thing from further away. Love the colors and shapes in this one. 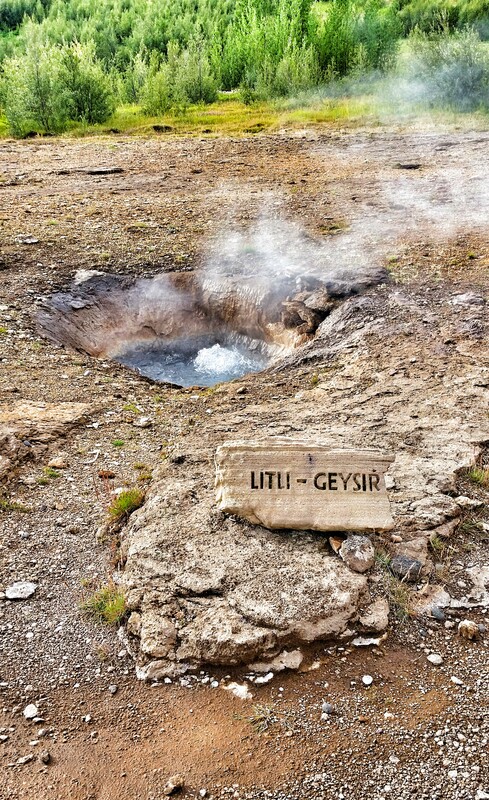 I’m sure this little guy is hoping to grow up to be big and strong like Strokkur one day. 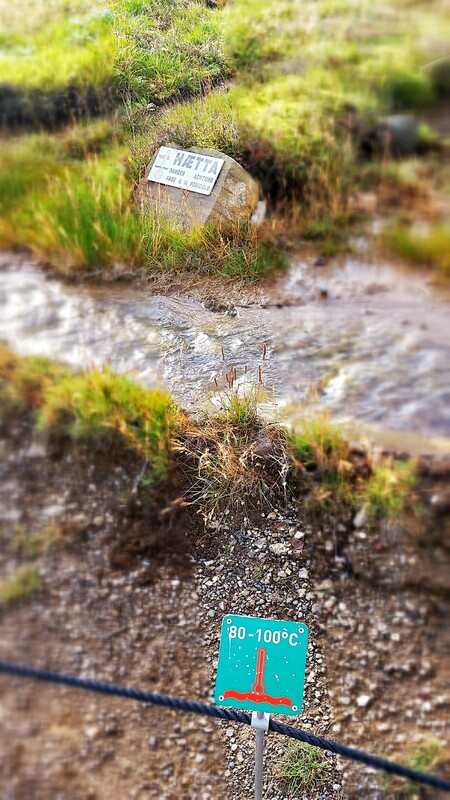 I love this because it highlights all the steam from the various hot pools/springs. Our guide warned us not to touch any of the water and these signs highlight why – some of it is quite literally boiling hot. Skálholt Church. The first thing I thought of was the Maitland’s house from Beetlejuice. Anyone else?? This small building is just behind the church and it seems to be a small chapel. 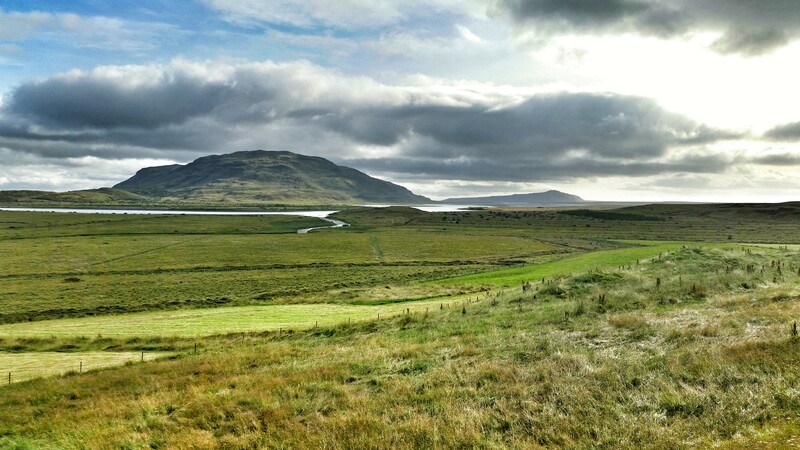 A shot of the landscape around Skálholt. Beautiful! There wasn’t a whole lot to take pictures of at the power plant, so I settled for some big equipment. What. A. Day! I’m go glad we decided to book this trip, especially since it felt like we saw several of the things in Reykjavik that we wanted to on Wednesday. We hadn’t booked this day trip sooner because we didn’t want to miss anything in the city, but I would do it again in a second. You should, too! Even if the weather isn’t great, don’t let that stop you. I don’t think you’ll see all these sights together in one day anywhere else in the world, so take advantage of the time you have in Iceland. The only caveat to this day trip is the potential for motion sickness on the bus. Although I don’t get motion/car sick, a few people said they weren’t feeling well. The bus is long and the roads are sometimes narrow and rough, so that doesn’t make for a good combination if you’re prone to getting motion-sick. Bring some Dramamine and sit near the front of the bus and that should help! 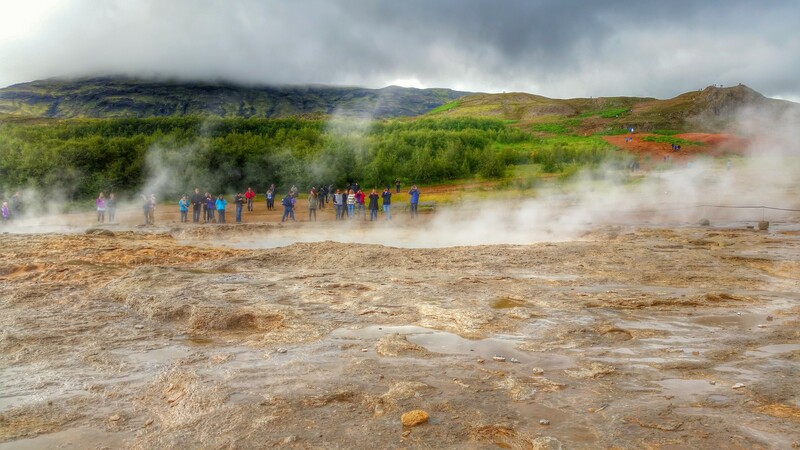 Next up – the Blue Lagoon! We’re headed there today, so check back later today (okay, maybe tomorrow) for the next post!